Please ensure that your entry is placed in the correct category area. Any type of cake can be entered into the competition. Cakes must be on a paper/cardboard plate with the entrants Name, Address and Contact phone number clearly marked on the bottom. Please include a note listing all ingredients with your cake for allergen reasons. Cakes should be covered to protect them whilst they are awaiting judging. Any cakes containing fresh cream may not be fit for consumption after the event due to temperature issues. Entries must be at the Competition tent by 12 noon for judging to take place at approx 2pm. Winners will be announced in the main arena at approx 3pm. Judging will be based on: Taste and Appearance. The judge's decisions are final. Cakes may be collected from the competition tent between 5pm and 5:45pm. 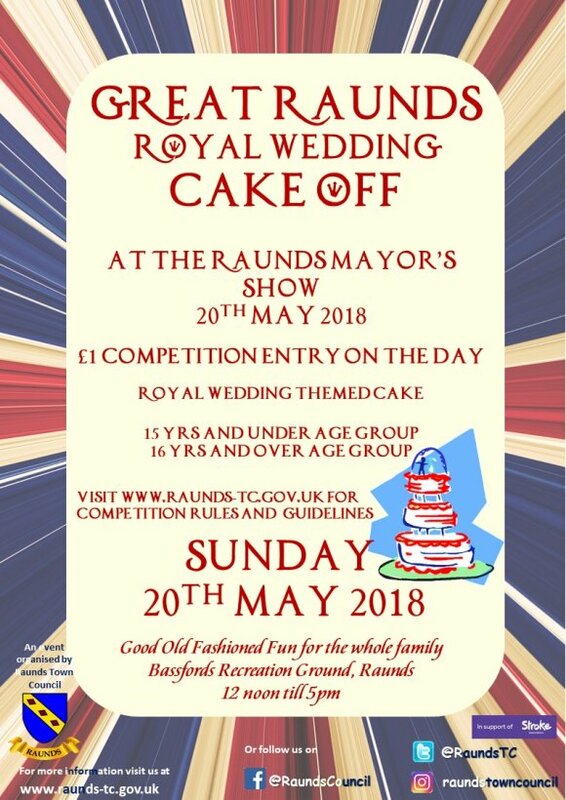 Any cakes that remain uncollected in the tent after 5:45pm will be donated for sale to raise funds for the Mayor's Charity.